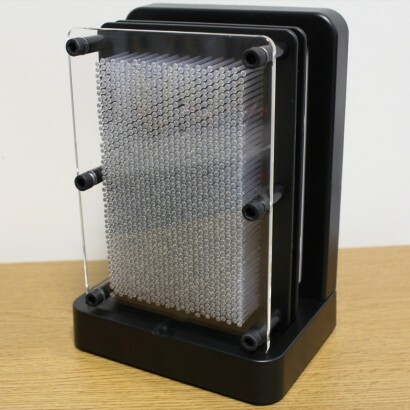 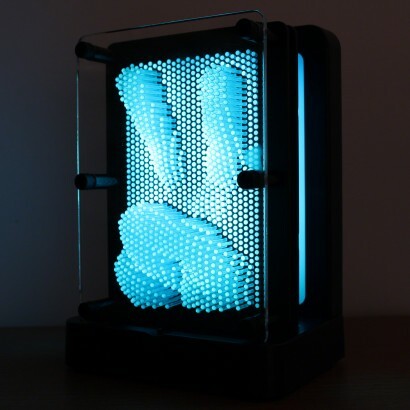 Hands up all of those that remember these fab pin art gadgets! 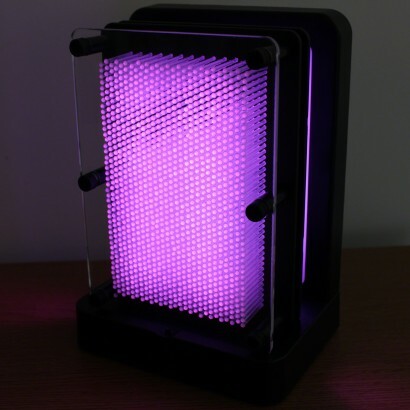 Now you can imprint your face or do the two fingered salute until your heart's content and then illuminate the results in colourful light! 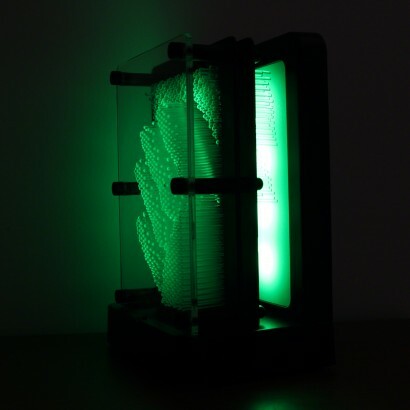 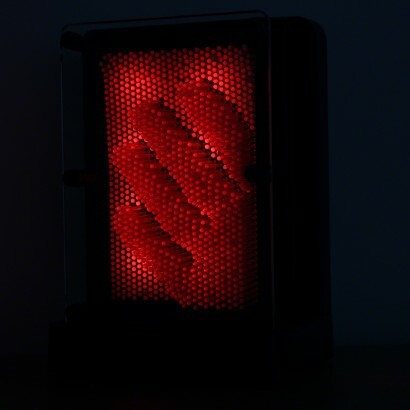 Yes, the pin art desk top gadget back and this time it's got colourful lights too. 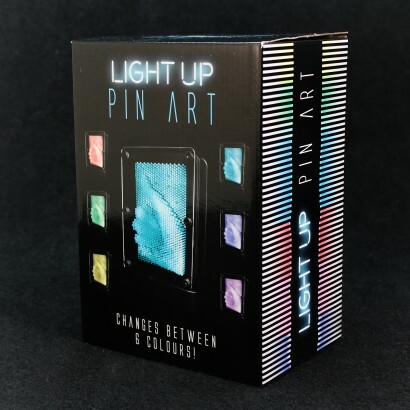 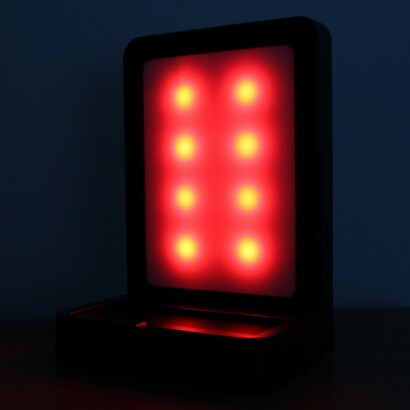 Lose minute after minute as you create hilarious "pinpressions" and then illuminate the results on the light up stand turning your images into a colourful mood light. Choose from colour change or static colour settings for a colourful journey down memory lane!